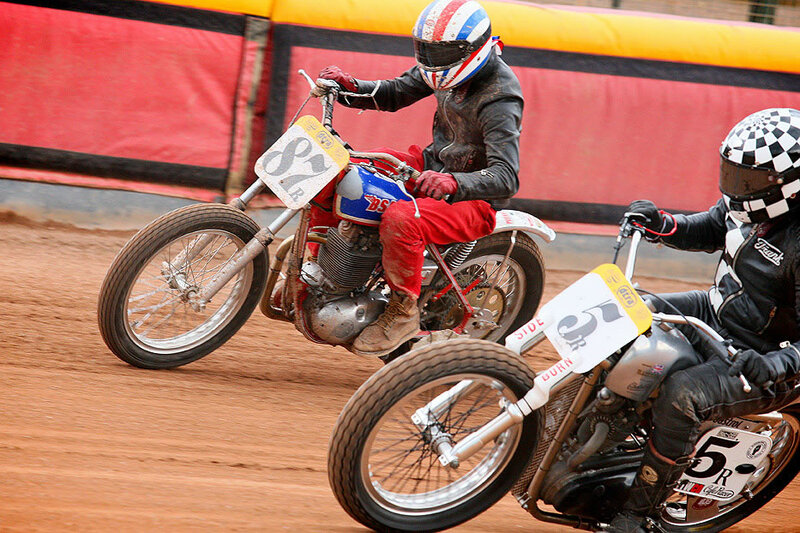 For the first round of the 2014 season Frank Chatokhine enjoyed the friendly DTRA circus mood and did really well with his his Rickman Metisse Flattracker. 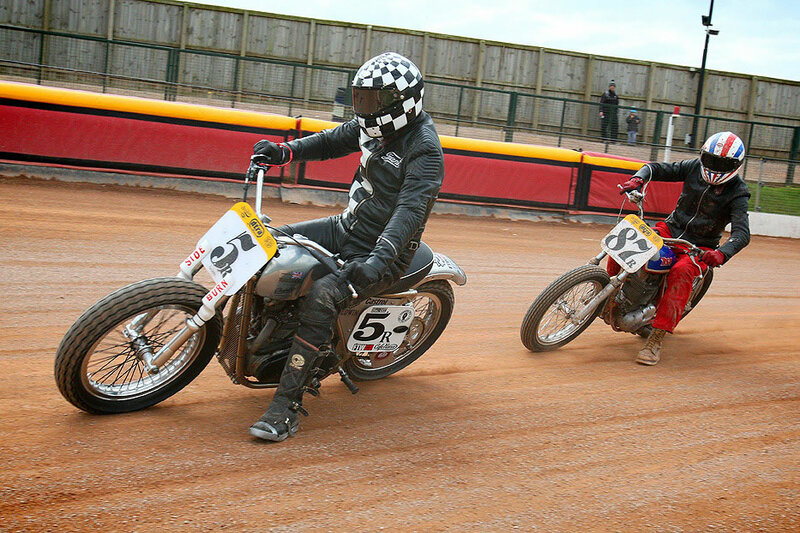 First place in all Vintage Class races and victory for the final at Leicester Speedway last week end. 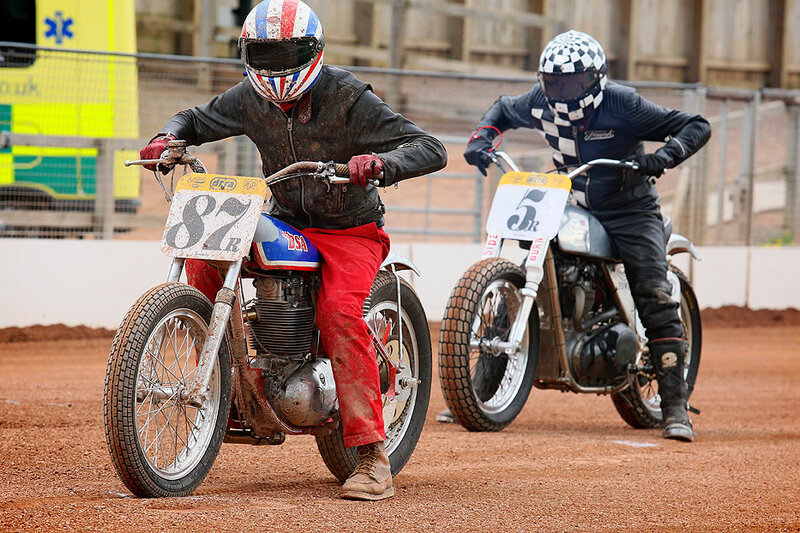 Defying the weather forecast the UK dirt track season started with an explosive race meeting at Leicester Speedway. The 85% chance of rain turned into a 100% chance of exciting racing across all classes in round 1 of the DTRA National Championships. 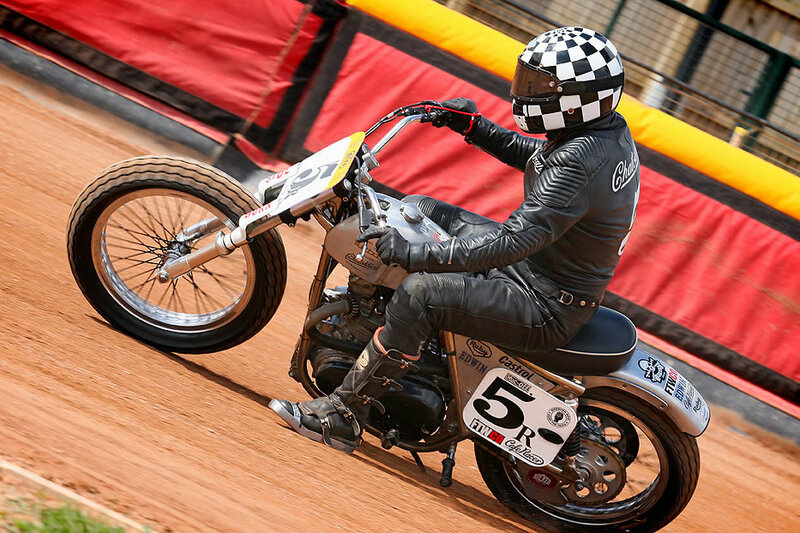 For his very first Dirt Track championship race Frank Chatokhine was quite well prepared and tested a brand new home made steel shoe which helped to go a bit faster allowing a better feeling while cornering on the Rickman Flat Tracker. 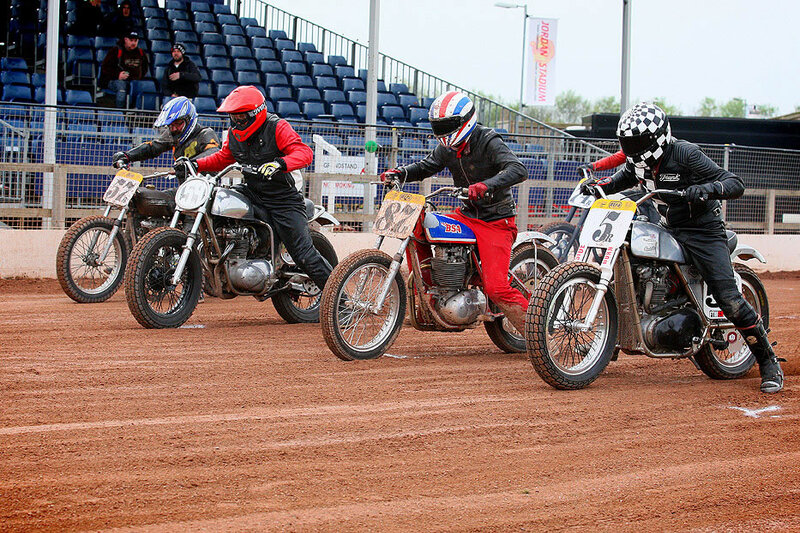 The Leicester Speedway was also hosting a nice event Saturday night which Frank enjoyed a lot: “We arrived Saturday night and had the good surprise to discover a Speedway race at our arrival at Leicester Speedway. We bought entry tickets and enjoyed couple of beers watching the race between the Lions and the Eagles. A really good way to get prepared for the first DTRA round on Sunday ! The Leicester race track is just perfect: well groomed and quite wide. The Rickman final transmission ratio was a bit short but it works well again. 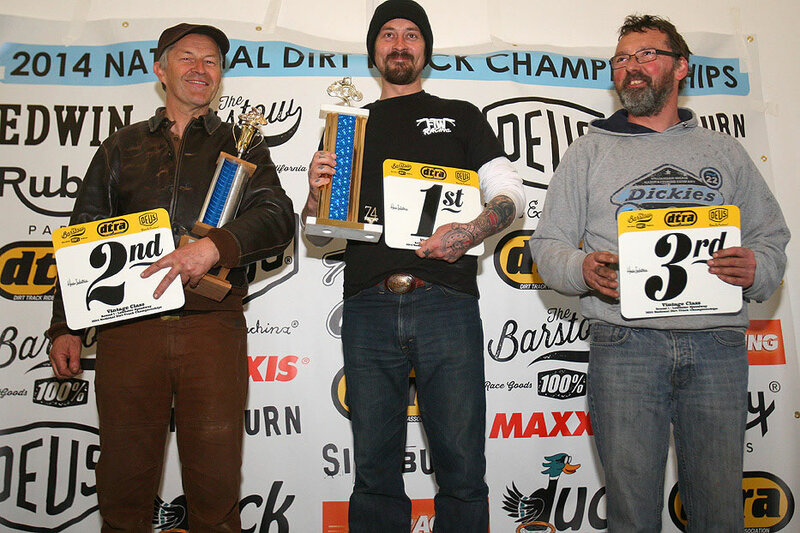 I had really good fun for this first races of the season. I just can’t wait to meet all participants and organization crew again to enjoy these good times together. 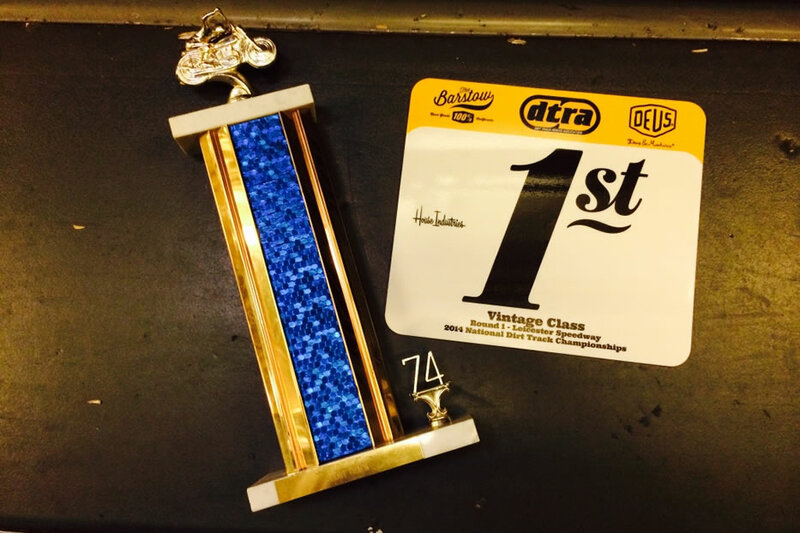 Many thanks again for the special vintage trophy which will have a very special place in my workshop ! 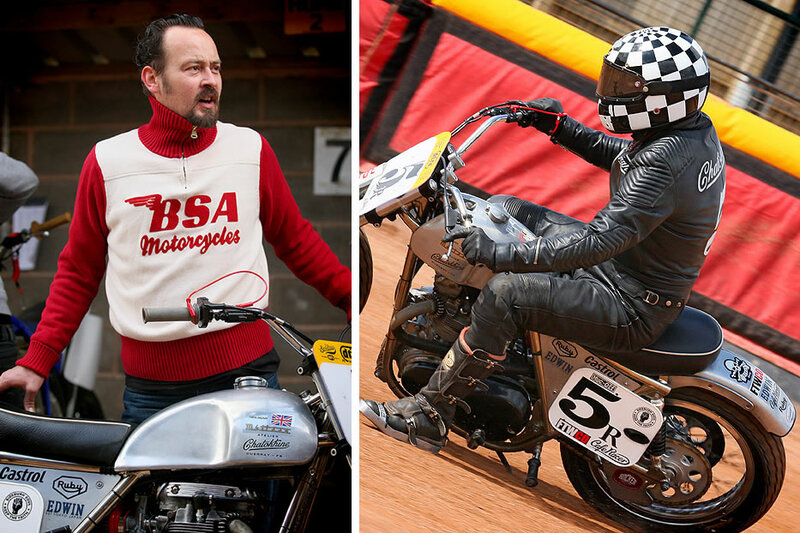 Frank Chatokhine thanks again all his sponsors who did help him to enter this year DTRA championship: Ateliers RUBY, Edwin Europe, Café Racer, Castrol, FTWco, Sideburn and Seurat 3. 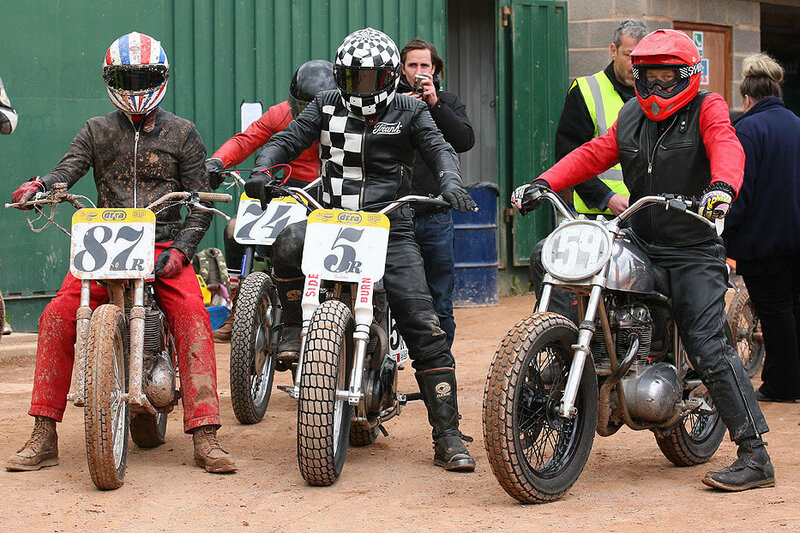 See the complete Leicester round report on Dirt Track Riders Association website.